Sean Walkinshaw, team owner of successful British motor racing squad SWR, is the youngest member of the world famous Walkinshaw motorsport dynasty which, of course, was established by the late, great Tom Walkinshaw. Creating SWR in late 2012 in readiness for its competitive debut in the inaugural season of BRDC Formula 4 Championship action the following year, Sean added team ownership to his existing motorsport activities as an aspiring professional racing driver – mirroring his father’s career. Intent on building a front-running team from the outset, SWR became a race winning force in its maiden year of competition and established itself as a consistent front-runner in BRDC F4 over the course of the next two seasons prior to the championship’s re-branding as BRDC F3 in 2016 where the squad was a podium-finishing force. Expanding into GT endurance racing in 2017 in the GT4 European Championship, the team quickly became a front-runner with its Nissan 370Z. 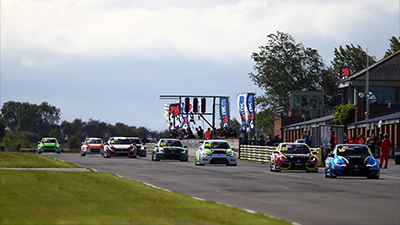 For 2018, has added involvement in touring car racing to its programme after acquiring a pair of Honda Civics for the brand new TCR UK Championship. 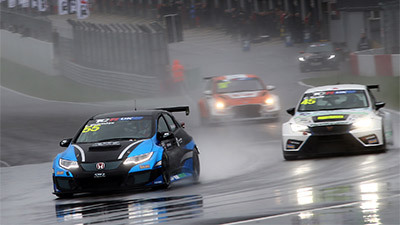 The Oxfordshire outfit also plans to compete this year in the British GT4 Championship. Alongside his role at the helm of SWR, Sean embarks on his second season as a driver in Japan’s world-renowned Super GT Championship this year. Becoming a GT300 race winner in his maiden campaign, he ended the 2017 season tied on points for third in the standings.